Collections are virtual containers of lists of items found by doing a specialized search. Learning to think about content being stored wherever it is stored, and about using custom collections to gather up different "views" of the content, is an important step to using Plone most effectively. It is an intelligent system. 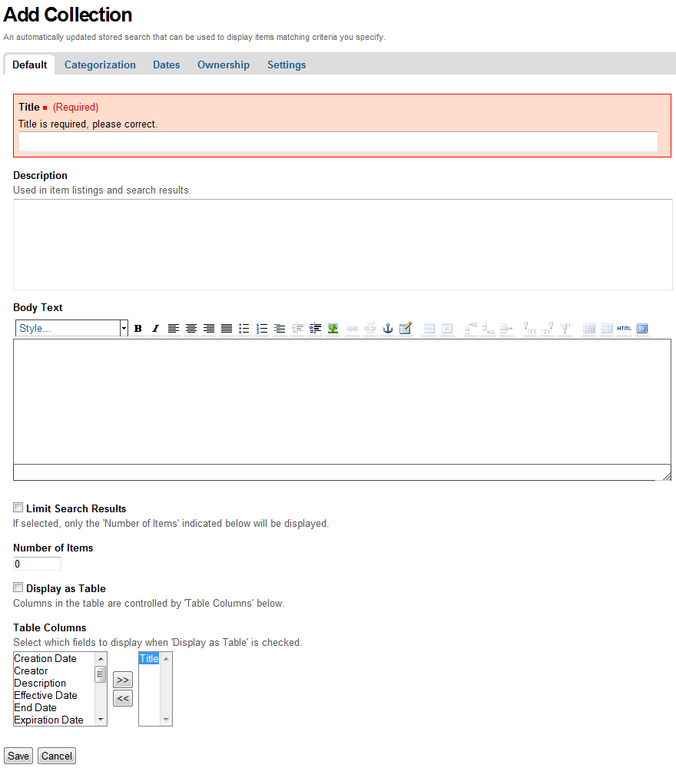 Below the title and description fields is a set of fields for specifying the format of search results returned by the search criterion for the new collection. The four fields in the panel above are in pairs. The top two fields let you limit the search results to a number of items that will be displayed. The bottom two fields let you control the order of the search result items. 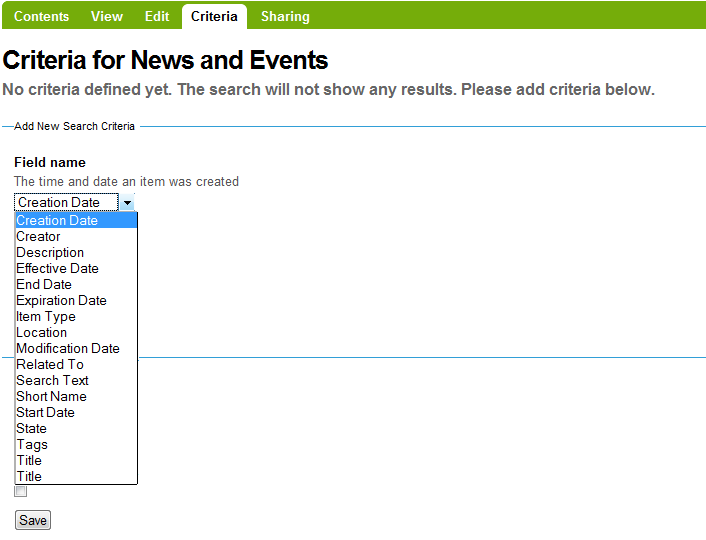 The criteria types for matching data in content items depend on which field is selected. 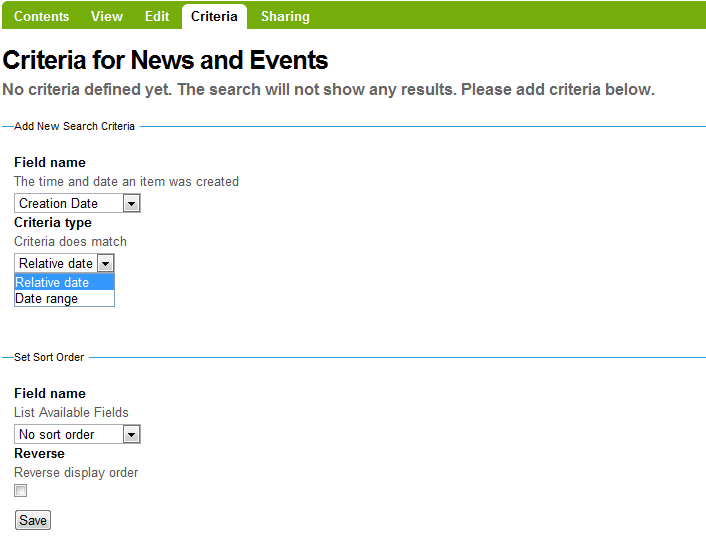 After saving the collection, the search criteria will be applied and the results shown when the collection is clicked. 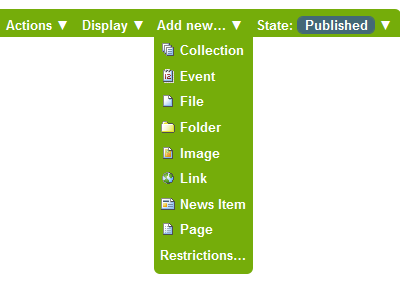 You can create any number of collections for such custom views. For the butterfly example described above, in addition to a date constraint to find recent items, the categories field could be used to match color to have a series of collections for "Blue Butterflies," "White Butterfles," etc. Multiple criteria can be used for a collection. For example, a collection called "Butterflies Photographed in the Last Month," could be made by setting a criterion on Creation Date and on Item Type as Image. Such date-based collections are really effective to show up-to-date views of content that don't require any administrative hand-work -- once such a collection has been created, it will automatically stay up to date. Note: A collection doesn't behave like a normal folder — you can't add content items via the add item menu, as you can for a normal folder.